Day 1: Start the day with a special glass fusing workshop at the Museum of Glass and take home your own glass coaster, then tour the museum’s exhibits and warm up watching live glassblowing in the hot shop. Cross the Bridge of Glass and take in Tacoma native Dale Chihuly’s artwork on the bridge as you cross, the bridge features more than 2,000 objects from the artist. Grab a light lunch at Savor Creperie which is just across the street from the bridge. Make sure to save room for one of their decadent dessert crepes. 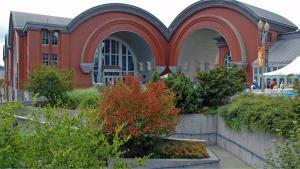 Then, make your way over to the Washington State History Museum to learn all about Washington’s past. You will be amazed by the beauty of the building alone. 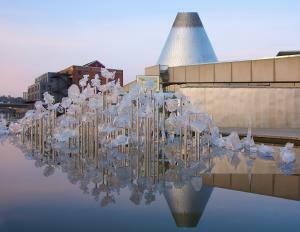 Next, tour the Tacoma Art Museum where Dale Chihuly’s art is on display as well as a variety of rotating exhibits. 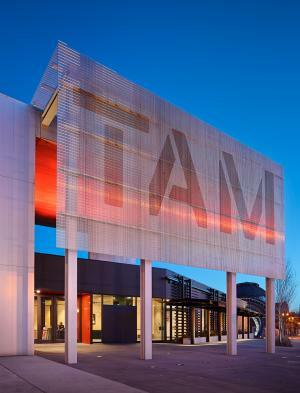 In 2014 a new wing was added to this museum making it even bigger with more galleries to walk through. End the day with dinner at The Pacific Grill. Enjoy one of their many delicious specials while sipping a glass of local wine. 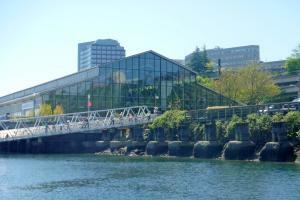 Day 2: Head to Foss Waterway Seaport to learn all about the water industry in Tacoma. Make sure to stroll the docks outside of the museum. Keep your eyes out for sealife! LeMay America’s Car Museum is next. Make sure to wear comfortable shoes as it will take time to see all this museum has to offer. Before heading out to your next destination stop in at Freighthouse Square to grab lunch. The food court has so many types of cuisine that everyone will find something they love. Also take a moment to walk up and down this 105-year landmark that used to be western terminus of the Milwaukee Railroad, to experience unique shops, antiques and art shops. The final museum stop is the LeMay Family Collection Foundation where local Harold LeMay made his legacy collecting vehicles. Stroll this beautiful campus while taking in the hundreds of unique vehicles.